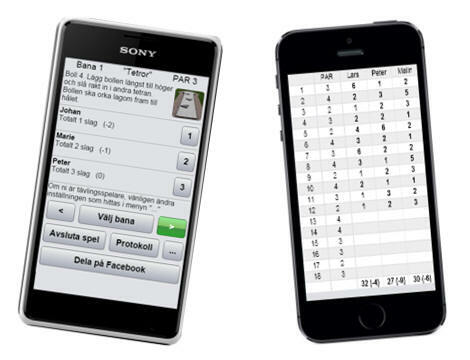 The application "Play Minigolf" is the worlds most popular mobile application for visitors at a minigolf course. The app is a web application which means that it is fast to download and it takes minimal space when not used. Even if it is a web app it can still be used without Internet connection. Works in iOS, Android and Windows. The application is a web application so the phones browser is used to find it. Enter one of the addresses in the mobile phones browser (eg. Safari, Chrome and Edge). Select course, enter players and begin to play. If you want your course in the application just send an email to info@isberginformation.com More countries can be added. Price: 50 EUR per course and year. New countries will get first year at no charge. The application also works in Chrome and Mozilla Firefox on PC but it is not optimized for usage on PC. The application does not work in Internet Explorer.